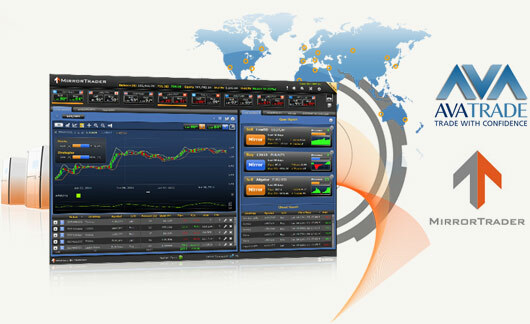 AvaTrade has been an innovative pioneer in online trading since 2006. The company was created as a combined effort of financial professionals and experts in web-commerce with the goal of perfecting the online experience for retail traders. Within a few short years, AvaTrade has expanded enormously, with over twenty thousand registered customers globally executing more than two million trades a month. The company’s total trading volumes surpass $60 billion per month. Ava is a multi-national company with regional offices and sales centers in Paris, Dublin, Milan, Tokyo and Sydney. The company's administrative headquarters are in Dublin, Ireland. To put your trading account under our IB group you need to send an email to support@avapartner.com. Find below the sample of the email. Please place my account no. : ............... (put your account number with AvaTrade) under IB 58799. *The Rebates are calculated for one round turn lot (100,000 units) for Currencies, (one oz) for Gold, (100 oz) for Silver, (10 bar) for Oil, (one contract) for Equity Index CFDs, and (10 contracts) for ETFs. **For trades open from the bonus granted by AvaTrade, FxRebate will not pay any rebates. Regulatory Agencies of Ava Trade EU Ltd, AVA Trade Ltd, Ava Capital Markets Australia Pty Ltd, Ava Capital Markets Pty, Ava Trade Japan K.K. ASIC is Australia’s corporate, markets and financial services regulator. ASIC contribute to Australia’s economic reputation and wellbeing by ensuring that Australia’s financial markets are fair and transparent, supported by confident and informed investors and consumers. coping with uncertainty in the global economy and the transformation of the industry resulting from factors such as innovations in financial technologies. Company Name Ava Trade EU Ltd, AVA Trade Ltd, Ava Capital Markets Australia Pty Ltd, Ava Capital Markets Pty, Ava Trade Japan K.K.